Vintage Ponchos, vintage Capes & shawls are so in right now, and a vintage one of either is going to give you a really bang on trend look. What’s more, you’ll be buying a quality item that’ll last the distance without falling apart. Vintage capes & ponchos were always better made than they are today, with less manufacturing processes going on, with more focus on individual workmanship. This means that a cape will be made to last, and as we only source good quality items, you’re guaranteed a value for money purchase. When you buy pre-loved clothing, you’re looking at individual pieces that you won’t see anyone else wearing and no one will be able to guess at a stroke, where you bought your vintage cape or poncho. That’s the beauty of authentic fashion from the past, it sets you part from the rest. 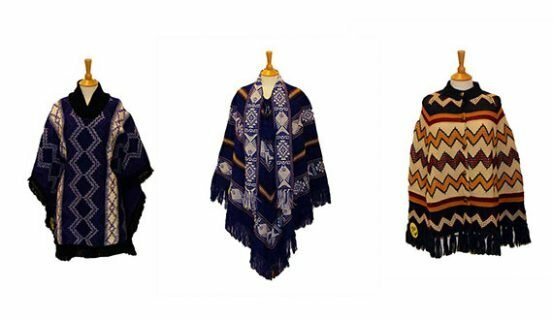 We have the range of shawls, Ponchos & Capes, for you to browse either online or in store, in different colours, sizes and styles that’ll put you ahead of the fashion pack, so come and take a look, you won’t be disappointed.